This stylish sportfisher turns heads when coming into port after returning from distant and offshore locations. Luxurious accommodations throughout the interior cabins and main salon. As well Her main-deck galley, equipped with an ample array of appliances, rises to every convivial occasion. On deck the tournament-sized cockpit and bridge are among the largest in her class. 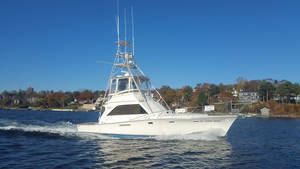 Powered by impeccable twin Detroit 671 TI engines "My Other Honey" is a powerful Sportfisher that is ready to take off fishing or distance cruising in style. Price Reduced March 5th 2018 to $31,900, was $37,900. “Bearing to Heaven” is a handsome boat that sails well and is built strong. The interior is fully equipped as you would want it for comfortable cruising. Yet with a moderate fin keel under body and a generous rig the 382 is lively under sail and a pleasure to steer. Contact us to view this well appointed Morgan 382. You will certainly be impressed. The Endeavour 42 is the perfect boat to fulfil your dreams of cruising to new destinations. On deck the centre cockpit layout provides a safe and comfortable vantage point while underway. All deck gear is accessible from the cockpit without sacrificing comfort while at the dock. Interior features a two cabin and one head layout with a beautiful Aft-Stateroom and Forward Cabin. The main salon has plenty of seating around the dining table and an additional straight settee opposite. Straight Galley with complete amenities is aft of the salon leading into the Aft-Stateroom. 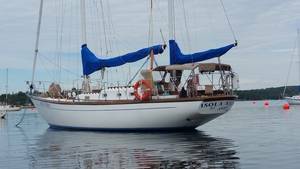 See the full listing for more information, including on the 2015 Refit, as well as photos of the stunning sailboat. 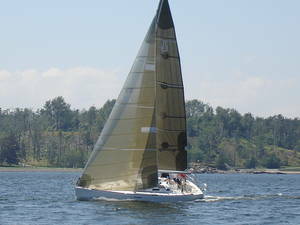 C&C 33,1975, $20,000, Located in Shediac New Brunswick on trailer. 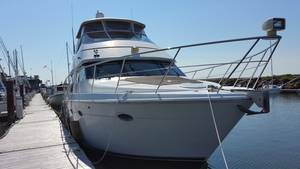 Ocean Yacht Sales highlight yacht is our Carver 450 Voyager lying in Summerside, PEI! A well kept dual station motoryacht that is ideal for Cruising the Northeast. Twin Cummins 450 HP Diesels with the best of maintenance, Kohler 14.5 KW genset, Bow thruster, Stern Thruster installed 2013 . Docking could not be easier. Garmin 2010C plotter, Radar, Pilot, Track-Vision TV. All systems are good working order. Cosmetically it would be tough to find a cleaner boat. Click here to take a look at the listing of the Pictured boat. Call or Email Us to book a showing today! Ocean Yacht Sales should be your broker of choice if you are considering a substantial purchase. We have the experience to ensure you get the right boat for you while knowing exactly what you are buying. Email us for a breakdown of what we do as your buyers agent. We are pleased to say that we have just recently managed another European deal bringing our Euro deals to three in 2016. If you need help finding your next boat Email Us or Call and start your search today! 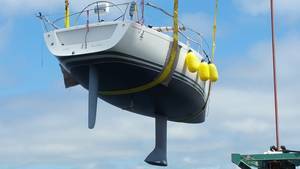 We are Eastern Canada's most active Yacht Brokerage. Begun in 1963 by Orin Archibald of Bedford, Nova Scotia, and carried on by our Past President John Roy our long history gives us a unique understanding of the Atlantic Canadian marketplace. We continue to operated on a "tell it like it is" basis as John Roy empathised, where honesty and integrity are the cornerstones of our business. 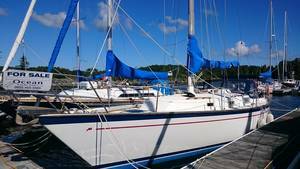 We sell New and Used, Sail, Power, and Commercial boats. 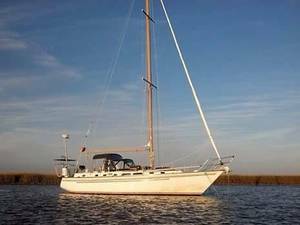 This 2001 Cruiser Yacht is the epitome of performance and luxury in a proven design. This twin Gas powered yacht is outfitted to take your family and friends on extended ocean adventures in style. This boat features a road trailer, generator, and superior styling. New engines! 15 Hours on Starboard engine and 100 Hours on the Port engine. Call us today to schedule a viewing!